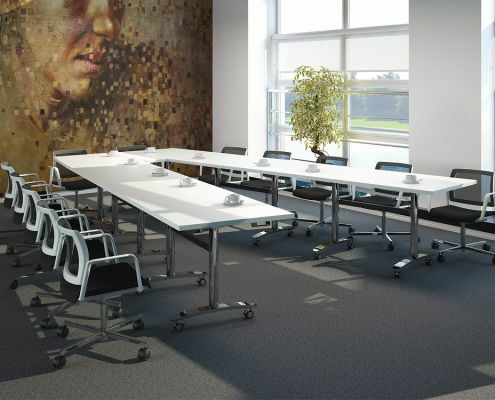 Our multipurpose modular tables let you use the same space for a variety of purposes to meet your company’s needs. After all in todays office work takes place everywhere, in conference rooms, breakout areas, offices, canteens, receptions and of course training rooms. 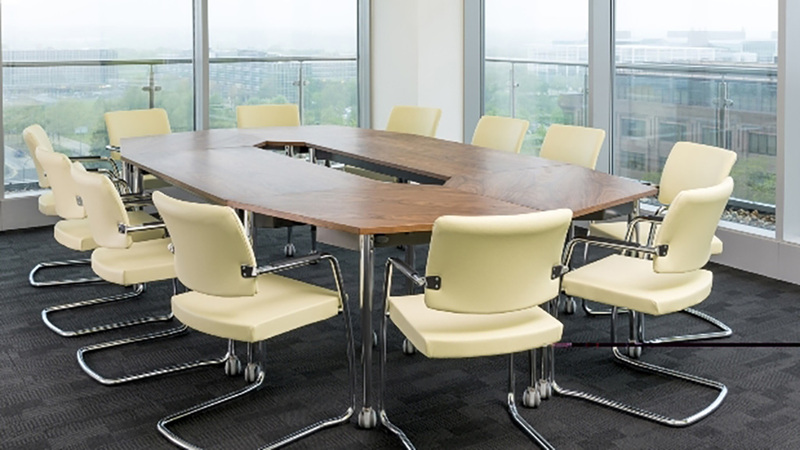 From nesting tables to seminar tables, mix and match table styles and shapes to suit your requirements. Training areas are often spaces that are easily available such as a corner in the office to small meeting rooms and choosing the right furniture will maximise your space. 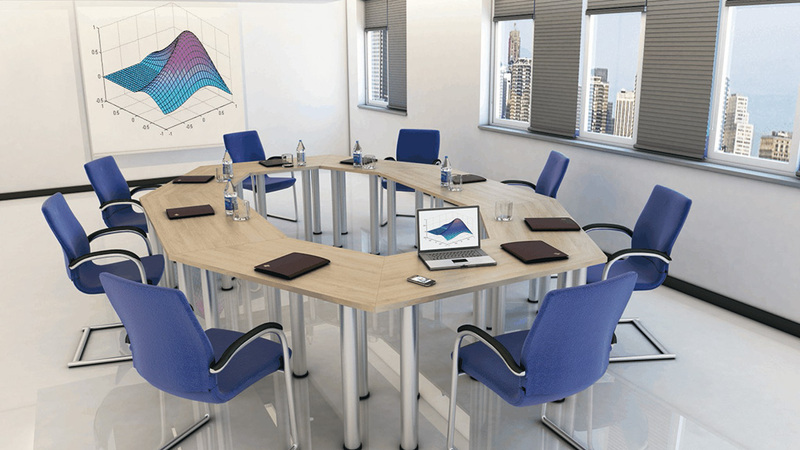 The shape of your training room tables needs to ensure everyone has their own working space and good line of sight to the presenter and other delegates.